CIS 471: Can Google connect the "other three billion" in developing nations and rural areas? Can Google connect the "other three billion" in developing nations and rural areas? One of our grand challenges is to bring Internet connectivity to rural areas and developing nations and Google may be working toward that goal. 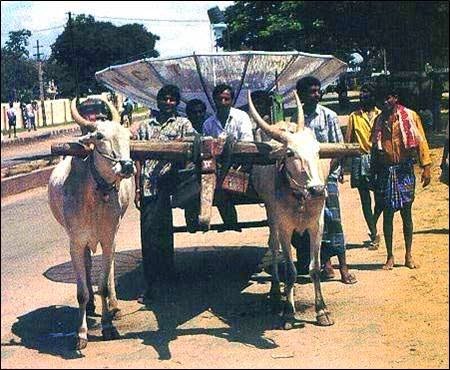 They are experimenting with terrestrial and extra-terrestrial wireless technology. I will look at terrestrial wireless in a subsequent post -- this one focuses on extra-terrestrial technologies. Let's look at Google's projects in this context. High altitude platforms (HAPs) are blimps, drones or balloons that hover or circulate in the stratosphere. They have cloudless access to solar energy and being above the weather helps with control, but their signals must travel through rain and clouds. They are the lowest flying technology, so packet latency is relatively small, but so is their "footprint" -- the area their signal covers on the ground. 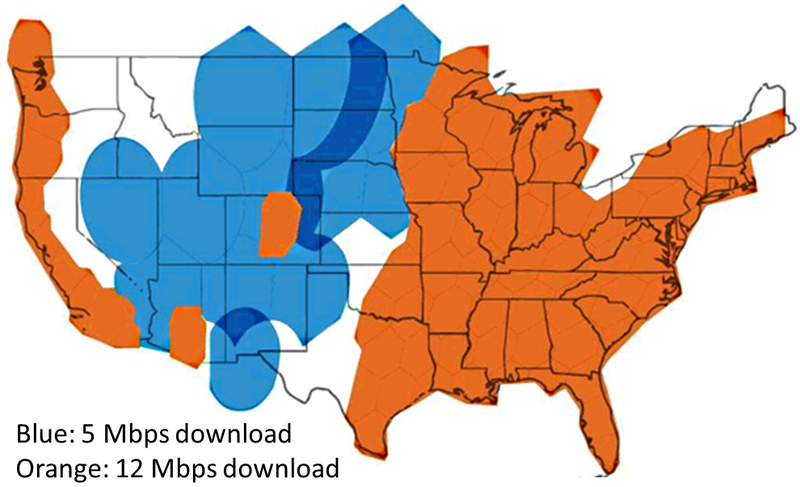 The most visible HAP Internet effort has been that of Sanswire, which has run well-publicized tests for over a decade. Sanswire has gone through bankruptcy, announced projects in Latin America that never materialized and faced complaints by suppliers and employees, but they are still working on Internet connectivity. 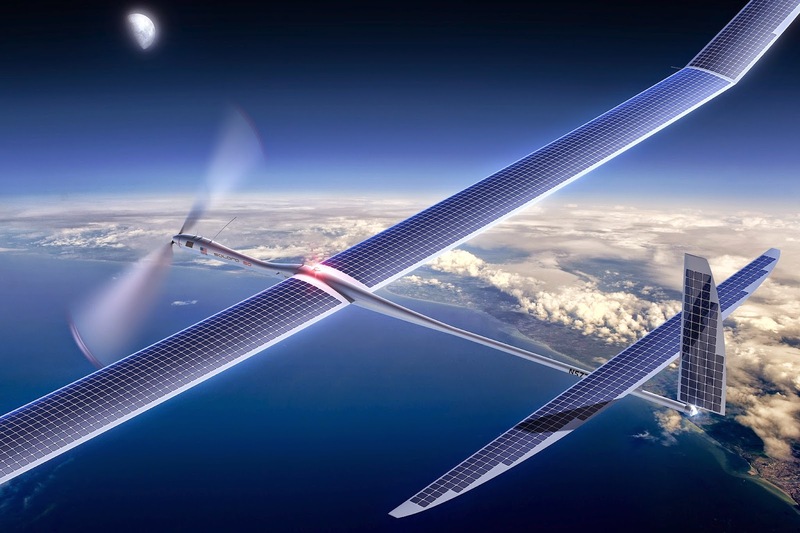 Google has two HAP projects, Project Loon, using balloons and a drone project using technology from recently purchased Titan Aerospace. 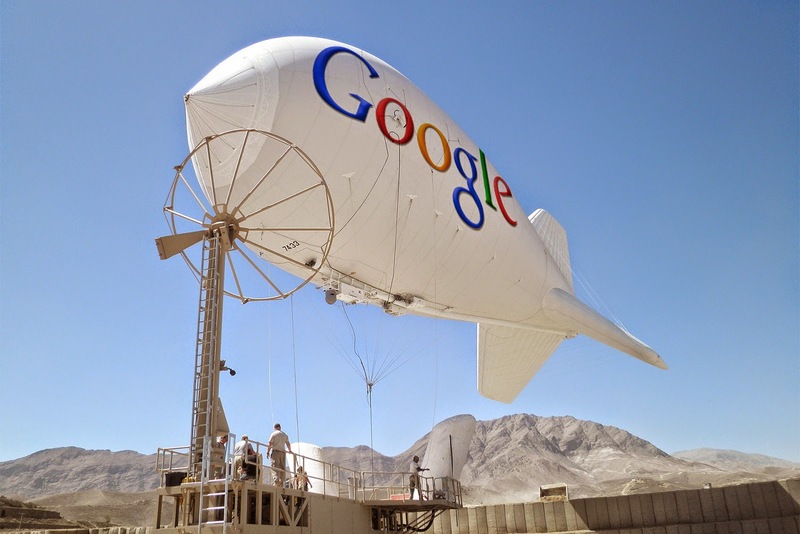 There have been reports of Google blimp trials, but I've not seen any details on those. Let me know if you have more information. Most satellites -- like the Space Station and sensing satellites -- are in low Earth orbit (LEO). LEO satellites move relative to the ground, which means that either communication windows are intermittent or many satellites -- a "constellation" -- are needed to cover the planet. The first LEO Internet project I know of was used for intermittent connectivity in Africa during the early 1990s. Shortly thereafter, a number of entrepreneurial LEO projects were announced. 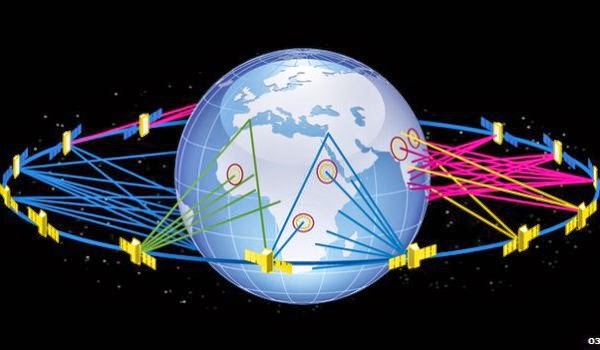 The most ambitious was Teledesic, which proposed Internet connectivity for the entire planet using a constellation of 288 satellites orbiting at 700 kilometers. Teledesic had high-profile backers like Bill Gates, Paul Allen and a Saudi prince, but the technology of the day was not up to the task and the company failed. Today, the best-known LEO communication system is Iridium's satellite phone service, consisting of 66 LEO satellites. (Iridium was conceived by motorola as an Internet project, but was scaled back to telephony, went bankrupt and reemerged as a phone service). This week, Google acquired Skybox Imaging, a company that has put a LEO satellite in a 600 kilometer orbit. The company was formed for data gathering, for example for providing real time video and images of traffic on roads, the sea and in the air, environmental monitoring, or map and earth imaging. This sort of imagery has both economic and military value so it will provide Google both revenue and expertise in the short run. Might they be planning to parlay that into a constellation of Skybox communication satellites -- Teledesic II with modern technology -- in the long run? 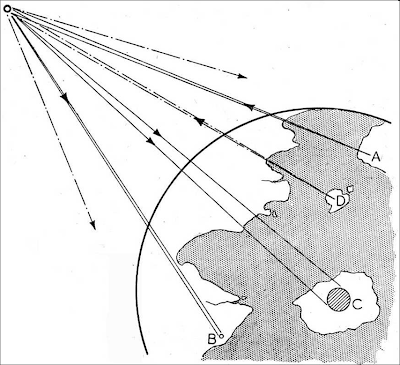 Medium Earth orbit (MEO) satellites are used for communication and navigation. Google recently announced a project with O3b Networks (other three billion). O3b currently has four satellites in 8,000 kilometer equatorial orbits and they plan to launch four more this year. They say those eight satellites will enable them to offer continuous service to all parts of the Earth within 45 degrees of the Equator. The project with Google is headed by two O3b executives and they speak of spending billions dollars and putting at least 180 satellites in orbit. When they speak of 180 satellites, one wonders whether they are considering a LEO constellation. (Update: Google's project with O3b Networks has ended, but O3b's MEO technology could still be deployed in Cuba and elsewhere). Today's commercial satellite Internet connectivity is provided by geostationary satellites, which are positioned above the equator and remain stationary with respect to the surface of the earth since they orbit exactly once per day. Their orbit altitude enables multi-country footprints, but latency and launch costs are high. Geostationary satellites have been used in rural areas and developing nations since the early days of the Internet, and the industry has remained viable as a result of technical progress in launch technology (public and private), antennas, solar power, radios and other electronics, as well as tuning of TCP/IP protocols to account for the 1/4 second latency due to the orbital altitude. (I've had surprisingly natural voice over IP conversations with people on geostationary satellite connections). Have those technologies progressed to the point where HAPs and lower orbit satellites are now viable as well? Since the beginning years of the Internet, NGOs, government agencies and entrepreneurs has been working on the Grand Challenge of connecting developing nations. They have not succeeded, but Google, with improved technology, deep pockets, a long-range viewpoint and economic motivation (ads) may be able to pull it off. Finally, I cannot end this post without wondering whether Jeff Bezos, founder of Blue Origin, Elon Musk, founder of SpaceX, and Richard Brnason, founder of Virgin Galactic are eyeing those other three billion people. There is a 99 comment discussion of this post on the Slashdot Web site. A proposal for a low-earth-orbit satellite constellation like that attempted by Teledesic is being re-considered using modern launch and satellite technology. Entrepreneurs Elon Musk (launch technology) and Greg Wyler (satellite technology) are working on a constellation of 700 low-earth orbit satellites to provide Internet connectivity to rural areas and developing nations and Google has several related projects. Will they realize Teledesic's 1990 vision using 2020 technology? 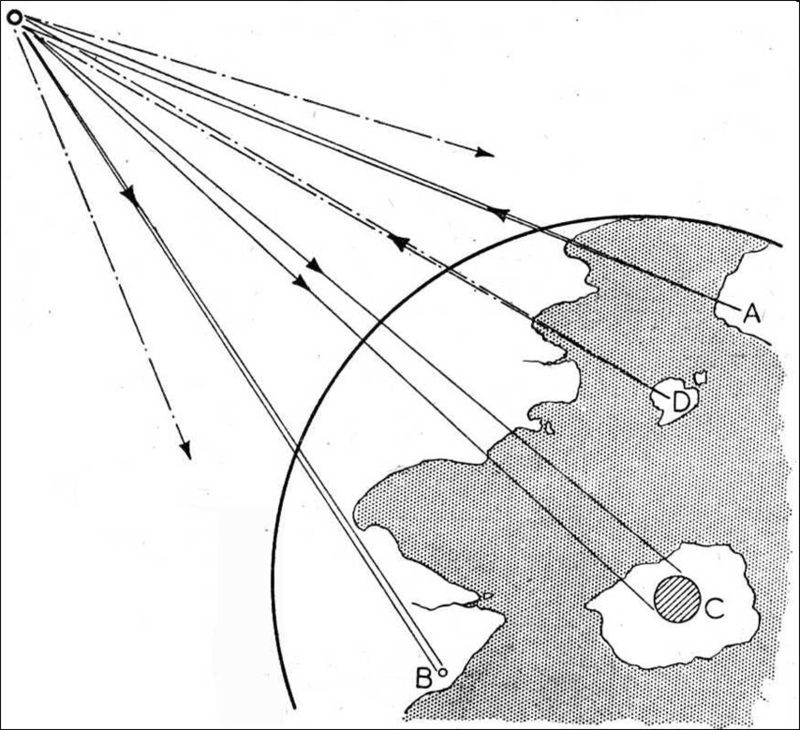 In an earlier post, I proposed the use of conventional geo-stationary satellites in Cuba. If this effort by Musk and Tyler were to succeed, and the Cuban government would allow it, this would provide an even better interim connectivity solution. (Modern fiber infrastructure would remain as the ultimate goal, but satellites would provide an affordable interim step). Well, the die is cast. Google has elected to back Elon Musk's satellite Internet project in competition with Greg Wyler. It's great to see two major teams competing to be ISPs to the Earth. If one or both succeed, the upside for humanity is clear, but is there a downside? It is a bit frightening to think of a global ISP with, say, a billion customers. What sort of regulation or oversight would be needed? constellation that would cover the planet. to geostationary satellites since this picture was taken in India. Geostationary satellites have large footprints. Astro Teller, head of Google X, gave a Ted Talk on the unexpected benefit of rewarding failure. 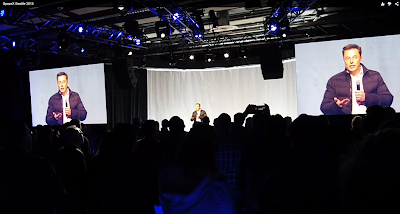 Google X works on "moonshot" projects. They start with a radical idea then immediately begin trying to prove it is impossible by attacking what appears to be its weakest spot. If the weak spot cannot be overcome, they kill the project and reward the participants. In this talk, Teller described several projects that had failed and some that had not yet failed. 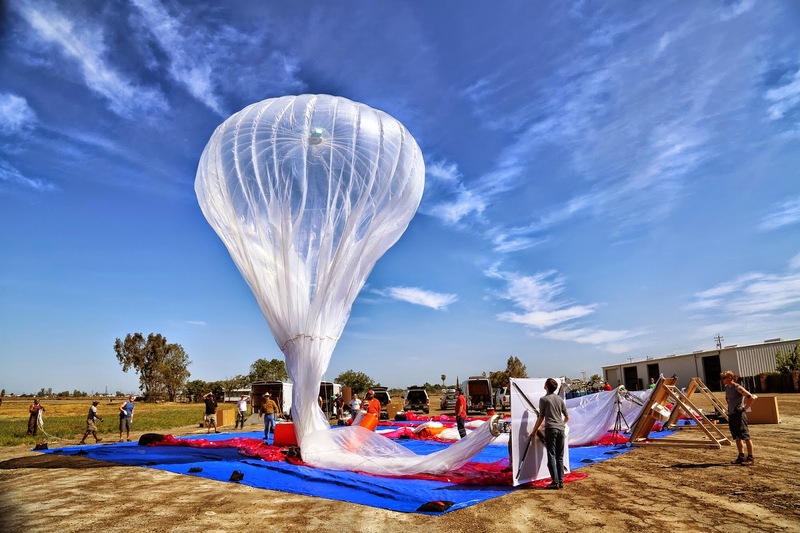 Project Loon, Google's balloon-based Internet access experiment has not failed so far. In fact, it has made significant progress. The transcript of his Project Loon report follows, but you should check out the video for the images. We get how crazy that vision sounds -- there's the name of the project to remind us of that. So since 2012, the Loon team has prioritized the work that seems the most difficult and so the most likely to kill their project.